Answers To Frequently Asked Questions About Artificial Turf Grass Products, Temperature, Safety, Cleaning and Installation. Does Turfpro Synthetics grass get warmer than natural grass? Yes, on average synthetic grass is approximately 5 degrees warmer than natural grass. Is Turfpro Synthetics grass flammable? Turfpro Synthetics grass is non-flammable. Cigarette burns will can be easily clipped away. How do I clean yard debris off the synthetic lawn? Use a rake, leaf blower, or yard vacuum to remove leaves and debris. Animal waste can be easily washed off with a quick stream from a hose. Is Turfpro Synthetics grass safe for pets? Turfpro Synthetics Grass is pet friendly. Cleaning animal waste is no different than natural grass. Simply use a rake, pooper scooper, and water hose to clean. Does water drain off the turf? Turfpro Synthetics Grass has perforations in the backing, which allows water to drain vertically. The drainage is similar to natural grass. 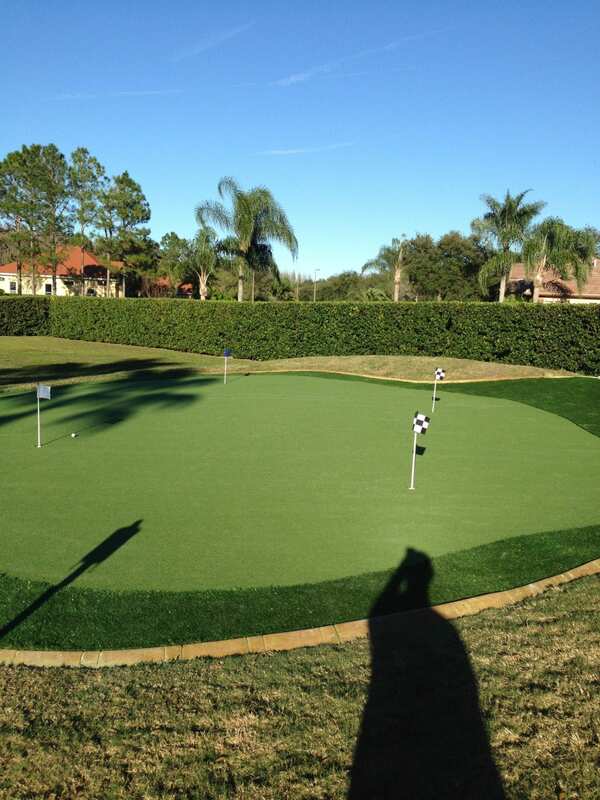 The kind of Synthetic grass made specifically for Putting Greens and fringe do not have perforations in the backing. How much does Turfpro Synthetics grass cost? Synthetic Grass is priced by the square foot and installation costs vary in each area. Typically it will pay for itself in 3 years compared to the installation of natural grass with an irrigation system. 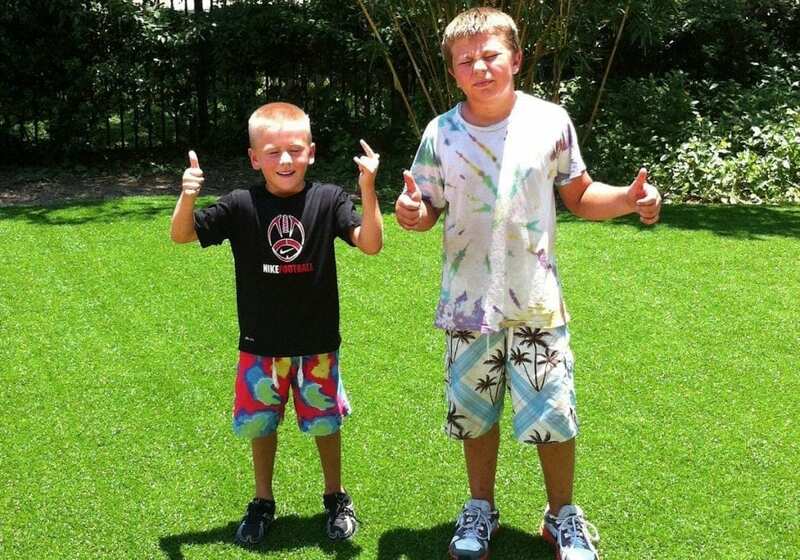 Are Turfpro Synthetics products similar to patio carpet or Astroturf? No, our product is so realistic that it is difficult to distinguish the difference between natural grass and synthetic grass. 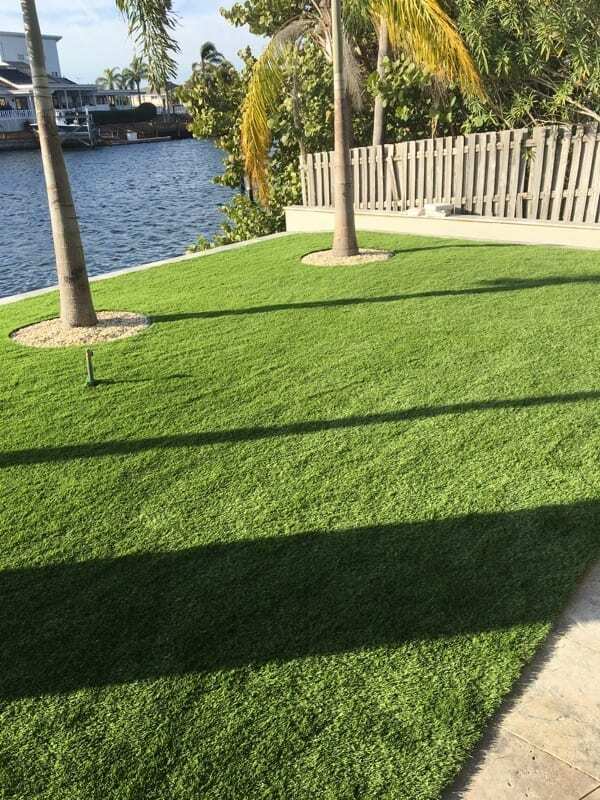 The synthetic grass fibers are manufactured with an advanced blend polypropylene, unlike, the nylon “Astro Turf”. The advanced grass is durable, yet soft enough to offer the most consistent and realistic lawn. Can Turfpro Synthetics grass installation add value to my home or business? Yes, an attractive low maintenance landscape design can easily add 10% or more to a property’s value. Synthetic grass will eliminate annual lawn maintenance fees and significantly decrease water consumption. How much will a Turfpro Synthetics lawn save me? Savings are based on lawn size so there is no specific amount but you will not be watering, fertilizing, cutting or fighting weeds and pests so all that cost will be saved. You will certainly avoid violating the Florida Water Restrictions. Can I pay for Turfpro Synthetics service over time? Financing is available for qualified buyers. What is Turfpro Synthetics grass made of? The grass mainly consists of Polyethylene. This is the most durable plastic available and is used to make water pipes, toys, Tupperware, etc. Polyethylene is safe, non-toxic for pets and children and environmentally friendly. Will the long-term effects of the sun harm the Turfpro Synthetics grass? No, fibers will resist the damaging effects of the sun and extreme weather. Does Turfpro Synthetics have a warranty? Yes, Turfpro Synthetics comes with a standard 8 year limited warranty against fading and workmanship. The product has a life expectancy of 20 years depending on use and weather.We give you only the best grass for your yard. 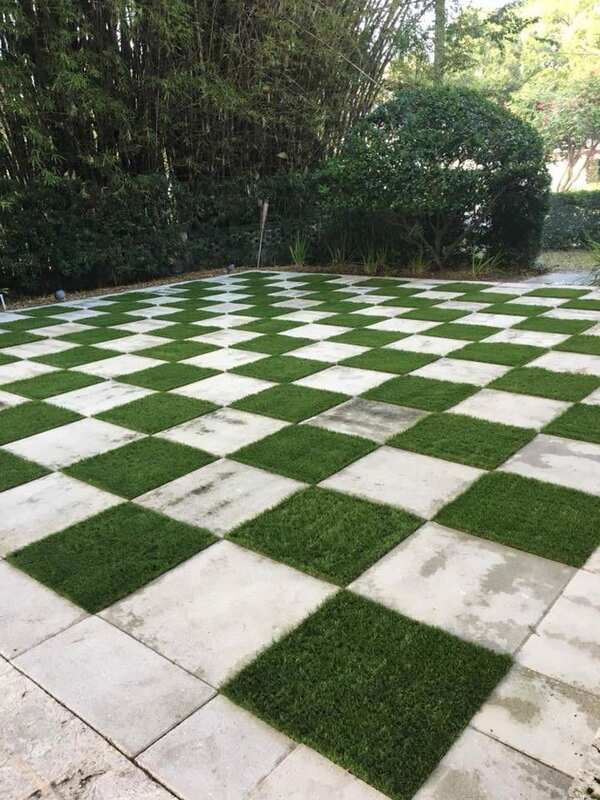 Synthetic turf, commonly referred as artificial grass, waterless grass, synturf, synlawn, syngrass, or artificial turf is a grass-like surface engineered to simulate a natural grass lawn in appearance and feel. It is manufactured using all man-made materials. 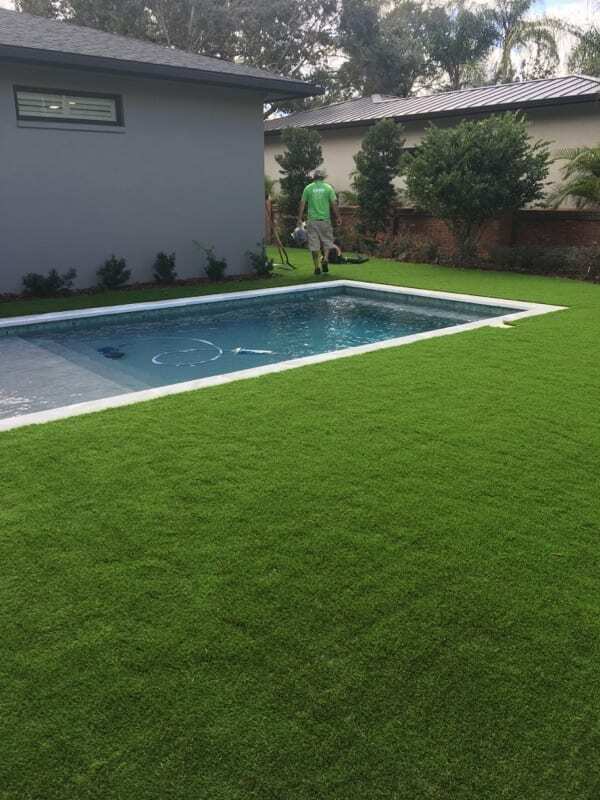 Throughout the years, synthetic grass has been installed for a wide spectrum of uses including household and business landscaping, putting greens, pet areas and sports fields. If not, please email turfprosynthetics@gmail.com or call (813) 546-4627 and we’ll be happy to answer your question(s). TurfPro Synthetics does not Buy, Sell, Trade or Install used Turf. We only provide high quality, new materials for our jobs.